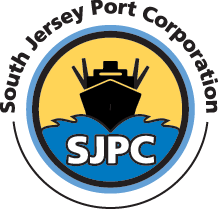 An application has been submitted to the Foreign-Trade Zones (FTZ) Board by the South Jersey Port Corporation, grantee of FTZ 142, requesting authority to reorganize and expand the zone under the alternative site framework (ASF) adopted by the FTZ Board (15 CFR Sec. 400.2(c)). The ASF is an option for grantees for the establishment or reorganization of zones and can permit significantly greater flexibility in the designation of new subzones or “usage-driven” FTZ sites for operators/users located within a grantee’s “service area” in the context of the FTZ Board’s standard 2,000-acre activation limit for a zone. The application was submitted pursuant to the Foreign-Trade Zones Act, as amended (19 U.S.C. 81a-81u), and the regulations of the Board (15 CFR part 400). It was formally docketed on October 11, 2018. FTZ 142 was approved by the FTZ Board on August 25, 1987 (Board Order 358, 52 FR 33855, September 8, 1987). The current zone includes the following sites: Site 1 (95 acres)—Port of Salem complex, Salem; Site 2 (10 acres)—Walnut Street warehouse complex, Salem; and, Site 3 (144 acres)—Millville Municipal Airport Industrial Park, Millville. The grantee’s proposed service area under the ASF would be the Counties of Mercer, Burlington, Camden, Gloucester, Salem, Cumberland and Cape May, New Jersey, as described in the application. If approved, the grantee would be able to serve sites throughout the service area based on companies’ needs for FTZ designation. The application indicates that the proposed service area is within and adjacent to the Philadelphia Customs and Border Protection port of entry. The applicant is requesting authority to reorganize and expand its existing zone to include all of the existing sites as “magnet” sites. The applicant is also requesting approval of the following magnet site: Proposed Site 4 (1,630 acres)—Repauno/Greenwich rail and port terminal complex, 200 North Repauno Avenue, Gibbstown. The application would have no impact on FTZ 142’s previously authorized subzones. In accordance with the FTZ Board’s regulations, Kathleen Boyce of the FTZ Staff is designated examiner to evaluate and analyze the facts and information presented in the application and case record and to report findings and recommendations to the FTZ Board. Public comment is invited from interested parties. Submissions shall be addressed to the FTZ Board’s Executive Secretary at the address below. The closing period for their receipt is December 17, 2018. Rebuttal comments in response to material submitted during the foregoing period may be submitted during the subsequent 15-day period to December 31, 2018. A copy of the application will be available for public inspection at the Office of the Executive Secretary, Foreign-Trade Zones Board, Room 21013, U.S. Department of Commerce, 1401 Constitution Avenue NW, Washington, DC 20230-0002, and in the “Reading Room” section of the FTZ Board’s website, which is accessible via www.trade.gov/ftz. For further information, contact Kathleen Boyce at Kathleen.Boyce@trade.gov or (202) 482-1346. 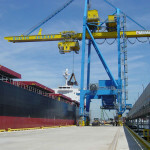 The SJPC breaks ground on its new omniport in Paulsboro, the Paulsboro Marine Terminal scheduled to open in late 2012.